“We wanted a traditional course that could be walked, could be enjoyed by all levels of players and could be played in a reasonable amount of time,” GCU President Brian Mueller said. An exciting new era in Phoenix golf begins in January when Grand Canyon University Golf Course, previously Maryvale Golf Course, opens to the public. A grand-opening event for the public and media is scheduled for 9 a.m. Jan. 6 at the course, located at 59th Avenue and Indian School Road. The course, which was closed in 2015 during renovations, reopened on Jan. 1. GCU Golf Course was redesigned by Scottsdale architect John Fought, who maintained the same layout but rebuilt all 18 greens, added contour to the fairways, re-created every bunker from scratch and lengthened the course by 600 yards. Several greens were moved slightly, and all of them were elevated with mounding to create more interesting and challenging shot angles. In addition, a 22,000 square-foot clubhouse and restaurant was constructed. GCU invested $10 million into the renovations. The course is 7,269 yards from the back (purple) tees, 6,762 from the black tees and 6,162 from the middle (white) tees. The course was changed from par 72 to 71 by turning the 10th hole, previously a par-5, into a par-4. But the most important feature of the new design is that, even though the greens and bunkers were made more challenging, it’s playable for golfers of all skill levels. The project is a partnership between GCU and the City of Phoenix, which was losing $250,000 a year on Maryvale as the course fell into disrepair and the number of annual rounds kept plummeting. The city continues to own the course while the University manages it under a 30-year operating agreement. Under the agreement, profit from the new course will be split between GCU and the city after the University has recouped its initial investment. 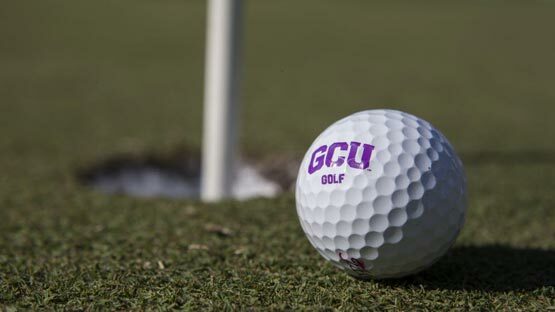 Green fees for Phoenix city card holders and GCU students and employees from September through May are only $30 Monday-Thursday and $35 Friday-Saturday, and the fees for the general public are just $35/$45. In June-August, the prices drop to $15/$25 for the first group and $25/$35 for everyone else. Twilight rates (3 p.m. and later) also are available. Tee times are available at www.gcugolf.com. The one-year renovation also included dredging the course’s four lakes, upgrading the irrigation system and modernizing the driving range. Students in the Colangelo College of Business hospitality and golf course management programs will benefit from the course by getting real-world experience. Students will staff the pro shop and clubhouse restaurant, which will feature a special beer brewed for the University by Grand Canyon Brewing Company in Williams, Ariz.
“Having our own golf course, operated by GCU and our students, makes this a one-of-a-kind program,” said Dr. Randy Gibb, the CCOB dean. But visitors will notice a difference as well. It will be the home course for the Grand Canyon men’s and women’s golf teams, which will have access to their own practice area at the driving range and a team room in the clubhouse. “That’s going to be pretty much where our players live,” women’s golf coach Lauren Giesecke said. To promote the sport in west Phoenix and possibly create future Lopes golfers, plans are in the works to create a top-notch junior program at the course. The University has pledged to help the neighborhood as well. The Canyon Corridor project, in which Grand Canyon has pledged $700,000 to help Habitat for Humanity renovate up to 700 local homes, has been expanded to include homes near the course.